Have you been experiencing nausea, lightheadedness, low blood sugar, etc., lately? 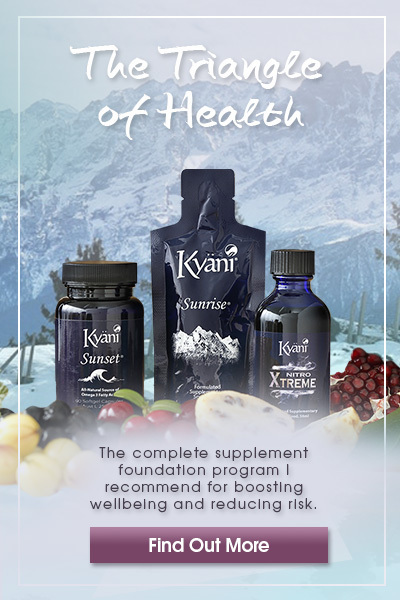 Have your blood pressure, menses, cholesterol and stress level been fluctuating? Acne or excessive hair growth? Well, there’s a chance you are suffering from Polycystic Ovary Syndrome (PCOS). Polycystic Ovary Syndrome (PCOS) is a common condition that affects women of reproductive age. This hormonal disorder may create problems like collections of fluid (ovarian cysts) and failure of regular release of eggs in the ovaries. Other than this, women suffering from PCOS may experience irregular or extended menstrual periods that may lead to infertility. In addition, this condition also develops excess male hormone (androgen) levels that result in preventing ovulation. 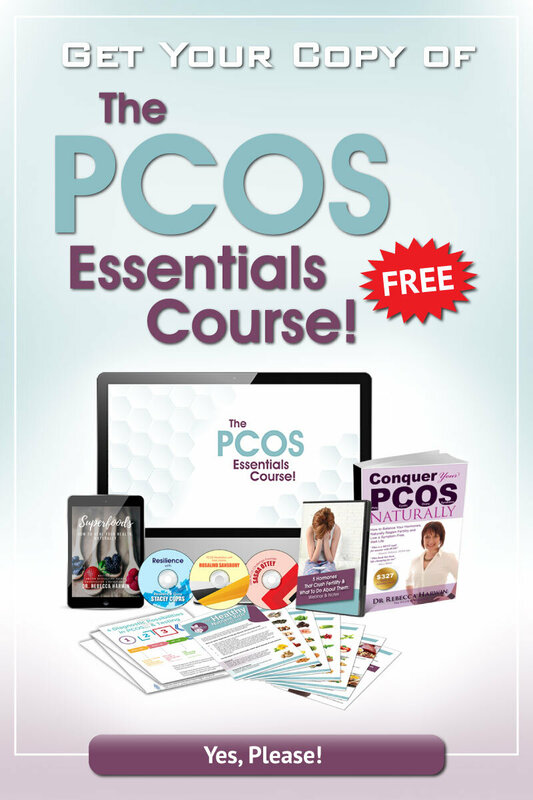 However, the question stands – what PCOS has to do with Metformin and what is Metformin? Metformin helps in controlling blood glucose levels. PCOS conditions vary from woman-to-woman. Metformin is not the solution for everybody. Metformin increases the level of toxic by-product further leading to heart disease, inflammation, and cancer. Also known as Glucophage, Metformin is ideally used to control sugar (blood glucose) levels. Sometimes, this prescription drug is also used in combination with other medications for a stronger effect. In some countries, it is available with the name of Fortamet, Glumetza, and Riomet. Metformin is an insulin-sensitising drug that helps in decreasing glucose production which automatically results in lowering the level of glucose in the bloodstream. This prescription biguanide also changes how your blood cells react to insulin. In other words, it makes them more sensitive to insulin, hence, a lowered chance of diabetes. 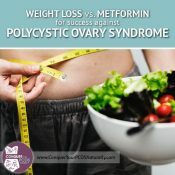 How Is Metformin Associated with Polycystic Ovary Syndrome (PCOS)? 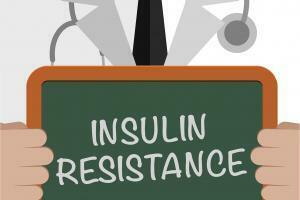 Metformin is specially prescribed to reduce insulin resistance and help the body in using insulin effectively. And, because Polycystic Ovary Syndrome treatment is also related to insulin resistance, doctors prescribed Metformin for this endocrine system disorder as well. Though usage of metformin to treat PCOS is not yet approved by the FDA, this prescription drug is highly used anyway. As cited by the University of Chicago, this drug lowers insulin levels leading to lower production of testosterone, thus supposedly reducing the symptoms of PCOS that are related to excess testosterone. Other than this, metformin also helps in improving metabolism and restoring regular menstrual cycles, thus possibly treating infertility in women. Some say, this prescription drug also helps in decreasing gestational diabetes and the chance of miscarriage. 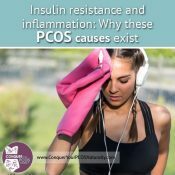 So, why is it recommended to avoid Metformin if you are suffering from PCOS? Let’s find out. 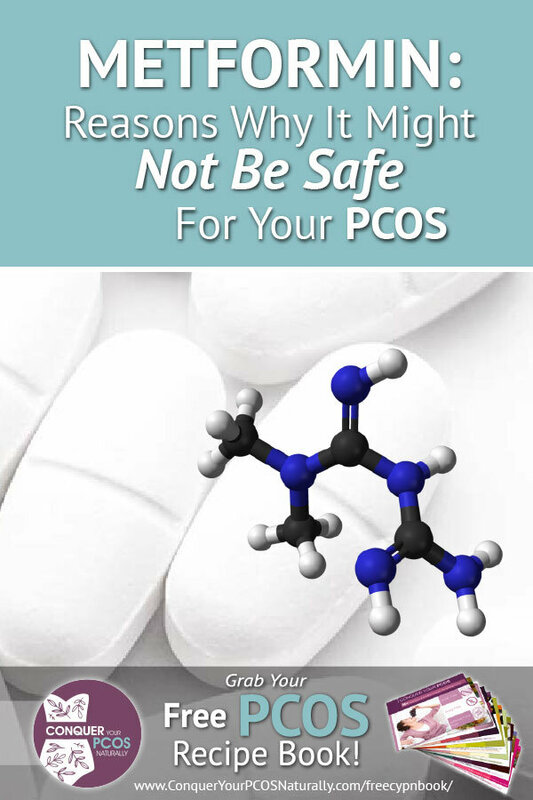 Why It Is Unsafe for PCOS Conditions? Vitamin B12 is essential to the body for keeping the blood cells healthy and to boost production of DNA (the genetic material in all cells). To absorb this nutrient, your body forms a substance known as ‘intrinsic factor‘. When you ingest Metformin, it inhibits the ability of your cells to absorb this intrinsic factor. As a result, your body may suffer from the deficiency of vitamin B12 leading to anaemia. Besides, in the long term, vitamin B12 deficiency can be a potential health risk. Simply put, longer consumption of metformin may result in the development of a vitamin B12 deficiency which may prove detrimental when you are trying to conceive. Other than that, as metformin interferes with absorption of vitamin B12, it may also affect the development of the baby if you are pregnant. Another common adverse effect of Metformin on PCOS is gastrointestinal discomfort including nausea, stomach pain, vomiting, diarrhoea, etc. Other than this, it has also been found to cause body weakness and metallic taste in the mouth. These gastrointestinal problems and symptoms may lead to loss of appetite which creates havoc for PCOS patients. For the simple reason, that eating a healthy diet at regular intervals is critical for women suffering from PCOS. Often, the excess of lactic acid is simply passed through the kidneys. However, in a patient with PCOS, the consumption of metformin could cause lactic acidosis. Lactic Acidosis is a condition in which the body accumulates an excess amount of lactic acid and is unable to clear it through kidneys. 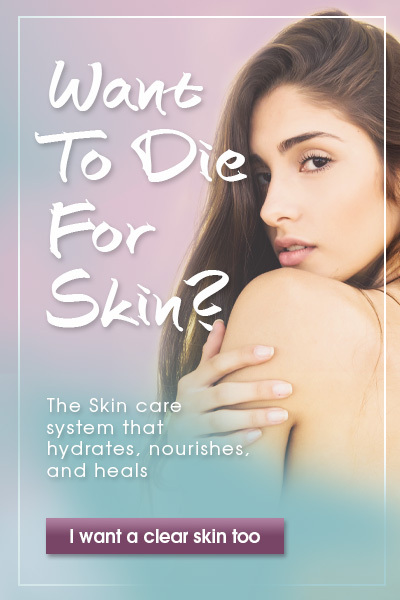 As a result, the blood in the body becomes highly acidic. Furthermore, if the acid level goes too high, it may even result in a fatal condition. According to a study, it was also found that metformin may cause lactic acidosis which is often a harbinger of death unless the basic disease is treated. Homocysteine is a by-product amino acid that builds up in your bloodstream. This acid increases the risk probability of heart disease. Since women with Polycystic Ovarian Syndrome are already at higher risk of developing cardiovascular disease, the escalated level of homocysteine can multiply this risk. 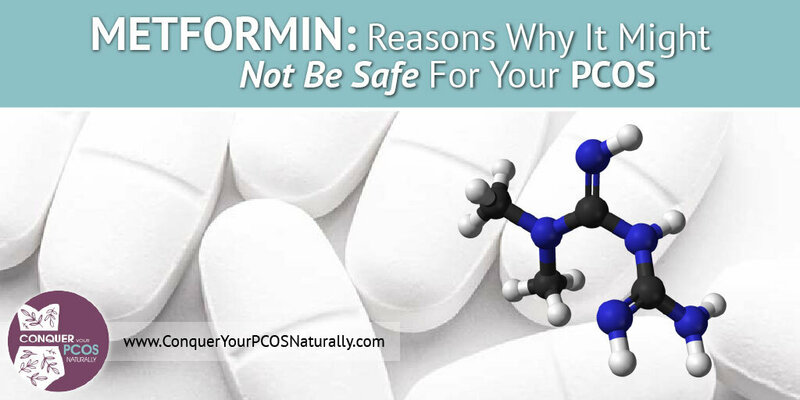 And, as the consumption of metformin increases the homocysteine level, it is safe to say that Metformin could be harmful for PCOS patients. Therefore, it is beneficial to consult a doctor before consuming it. Always remember, your well-being is in your own hands. Contributor Bio – The blog is presented by Sharda Hospital. Sharda Hospital is one of the largest super specialty hospitals in Delhi National Capital Region (NCR). 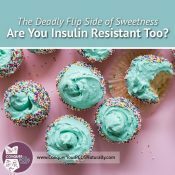 The Deadly Flip Side Of Sweetness – Are You Insulin Resistant Too? 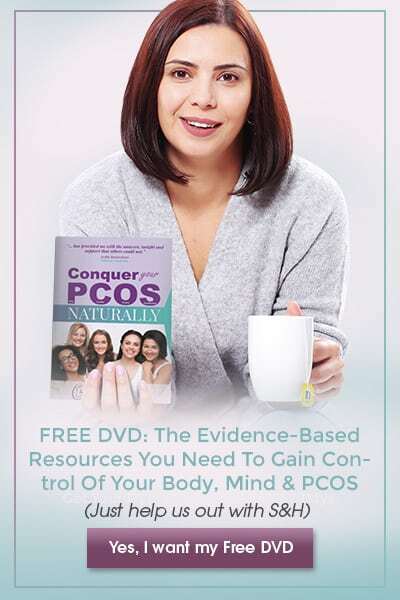 Previous: Want a free copy of my bestselling book, Conquer Your PCOS Naturally? Next: Is Your Body’s Set Point Halting Your PCOS Weight Loss Success?